We’ve featured a number of Thomas Flyer motorcars over the years but all of them have been massive touring cars. What we have here is a sporty – but still quite large – two-seat roadster. Thomas Flyer touring cars are famous because of their win in the 1908 New York to Paris race. Thomas built automobiles between 1903 and 1918. Their sweet spot was right around 1906 through 1912, and I would consider this a “later example” of the marque as their offerings really tapered off after 1912. The Model MC 6-40 was offered in 1912 only and it was the smaller of the two models Thomas sold that year. It’s powered by a 7.2-liter straight-six making 64 horsepower. The two-passenger roadster (or runabout) was the entry-level Thomas Flyer for 1912. It cost $4,000 when new and should bring between $175,000-$225,000 at auction. The first time it was shown after the restoration was complete was in 2015. It hasn’t been used much since then and is ready for the new owner to use and show. Click here for more info and here for more from this sale. 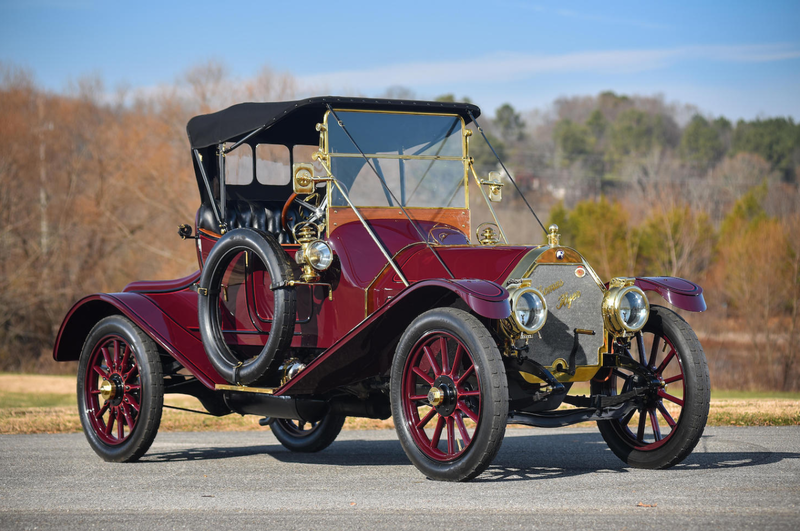 This entry was posted in Uncategorized and tagged 1912, 6-40, auctions, Bonhams, cars, classic cars, model mc, roadster, thomas flyer by classiccarweekly. Bookmark the permalink.